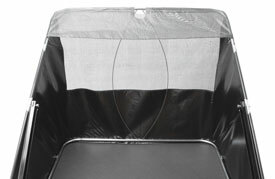 So you don’t have to dump as often. 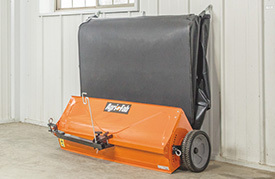 The 44″ sweeper collapses for easy storage. 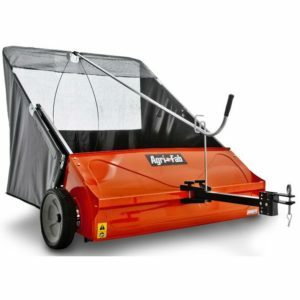 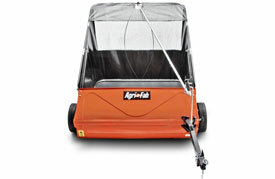 Allows you to sweep and mow at the same time.